Behavioral economics, a science founded in the early 1950s, identifies many cognitive biases and tendencies that prevent individuals from making the most optimal decision, despite the individual’s best efforts. In the business world, managers seek to understand why consumers and employees make certain decisions in order to enhance the likelihood of the achievement of certain business objectives. However, in an effort to use behavioral economics to understand the biases that can exist, a manager is likely to fall prey to one of the most common biases of them all: choice overload. This phenomenon arises when faced with too many options at once, leading to decision exhaustion, unhappiness, and choice aversion. Behavioral Strategy to Combat Choice Overload, authored by Timothy Murphy and Mark Cotteleer (see full link to article below), discusses a step-by-step framework that a manager should develop in order to identify, promote, or mitigate certain behaviors in the workplace to ultimately achieve the corporation’s business objectives. Ultimately, the authors seek to mitigate the choice overload they feel managers are susceptible to. The purpose of organizing the concepts into these categories is two-fold: complexity of the science is summarized for the user into one of the five categories and managers are guided towards identifying the most relevant concepts that would promote or hinder the achievement of certain business objectives. However, it is important to note that while organizing the concepts is helpful, it is still important for managers to understand that behaviors across the dimensions are interrelated and may incorporate aspects of various categories at once. 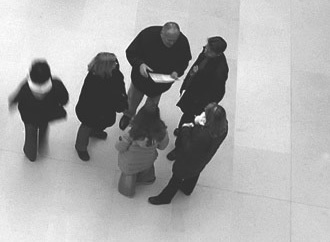 After developing a taxonomy of the behavioral concepts, the manager should seek to position the given information into the four-level managerial framework. The framework includes: identifying the business objective, determining the choice dimension, promoting or mitigating the behavior, and implementing the behavioral concept. The framework’s first step of identifying the business objective is perhaps the most important step of the process. Just as enterprise risk management begins with identifying the company’s core values and strategy, business leaders seeking to grow their behavioral insights should begin with determining the objective, which is the foundation upon which the framework is built. These objectives can vary between increasing the average order size to mitigating workplace interruptions. The manager’s continual focus on the end goal will make achievement an easier task. In the second step of the framework, determining the choice dimension, the manager is responsible for highlighting which cognitive biases are most relevant to the business dimension. As previously indicated, the manager does not have to choose only one of the five dimensions, but is in fact encouraged to use more than one dimension to understand the entire portion of the behavioral field in question. To illustrate, the authors provide an example in which the business objective is to curb workplace interruptions to enhance productivity. The choice dimensions most closely related would be the timing elements, the environmental influences, and outcome valuations. By selecting these dimensions, the manager will be able to determine how timing will influence employee preferences, how external social factors will influence productivity, and how employees perceive and value outcomes in terms of incentives or motivation. After determining the choice dimensions relevant to the business objective, the third step is to either promote or mitigate the social behavior identified by the choice dimension. When reviewing the concepts identified with each choice dimension, the manager can determine whether or not the bias is conducive to or hindering a more efficient workplace. To continue the example illustrated by the authors, in reviewing the timing element, the manager may seek to promote the “present bias” to keep a more concentrated focus on the task currently on hand. While examining the environmental influences, a business leader may choose to mitigate “social proof,” a conformity phenomenon in which people attempt to assume the thoughts of others in order to mirror the correct behavior. In assessing outcomes valuation, it would be best to perhaps promote the “prospect theory,” in which people perceive gains and losses differently and will thus act accordingly to maximize their idea of gains, and minimize the losses. The final step in the framework is to implement the behavioral concept. After identifying the objectives, the choice dimensions, and a decision to promote or mitigate, it is important for the manager to then develop specific tactics to drive the achievement of the objectives. Without proper implementation, the manager’s efforts in gaining insight into the behavioral field will have been worthless. Implementation, in the continued example, may take the form of transforming larger projects into shorter tasks to promote “present bias,” removing unannounced management monitoring to avoid “social proof,” or creating consistent and appropriate employee incentives to promote the “prospect theory.” The implementation process should be experimental and can be continually revised to ensure alignment with business objectives. Delving into behavioral economics can be overwhelming without the appropriate tools and framework to understand and capitalize on the information obtained. This “choice overload” presented by the concepts of the science can be a major setback for executives seeking to achieve a business objective. To best overcome this, managers should use the four-level framework to direct their efforts and apply the knowledge into actions and solutions. Ultimately, the framework should be viewed as a process, rather than a project, in which assessment and revisions are continual. With the direction provided by this strategy, business leaders will be able to not only understand certain behaviors, but to also exploit this understanding into achieving their objectives.